The Atlanta Behavioral Care medical team is dedicated to providing services to persons who are experiencing emotional or behavioral problems. We are dedicated to helping you achieve your goals and the best possible treatment outcome. 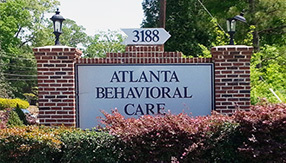 Atlanta Behavioral Care is a multi-disciplinary group psychiatrists, psychologists, master's level therapists, psychiatric nurses, and addiction counselors, employed or otherwise affiliated with us, who have been providing high quality behavioral health services to children, adolescents, adults and geriatric populations since 1989. © 2013 Atlanta Psychiatry & Neurology, P.C.